Thank goodness for 24 hours banking, which saw me banking in seven cheques from my clients late last night! I received them a few months back but I was waiting to bank them in together with the much anticipated cheque from my Singapore client, which arrived last week. So yesterday night, after updating my invoice file and writing off the received amounts, I finally banked in my cheques and now I have more funds in my company account! I'm planning to use a small portion of my earnings last month to finance my new marketing campaign, which B has been working on. I seriously need to revive my copywriting business and I plan to launch my marketing brochures at the beginning of next year, which means I have to allocate a reasonable amount for my printing budget because besides brochures I also need a whole new look with a cool new name card! 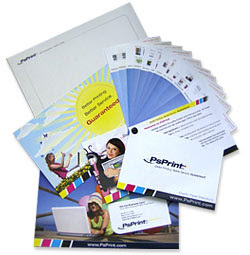 Fortunately for me, I came across PsPrint, a leading printing company that prints business cards, stickers, postcards, greeting cards, calendars and more. This online site came in handy for me because PsPrint provides an online design tool for customers to easily create custom business cards in mere minutes! You have to sign up for this service but it's free and once registered, you will be able to create your own cool creations. Simply choose your desired pre-designed template and then follow the easy online instructions to customize your card, postcard, poster and so on with your company name, address and other essential information. You will save tons of money on hiring a professional designer to do your design! Alternatively, you can opt to use the company's in-house designers to come up with a unique professional design for you but either way, you will still have the last say on how your end products look like. Before I forget, there is also a FREE Sample Kit, which you can easily obtain by filling out a form at the site. The free sample contains a variety of printed samples, a paper sample guide, and other helpful information to get you started. If you like what you see, you can then proceed with your actual purchase, which is great because who doesn't love freebies right? So if you're like me and currently in need of a great design and printing company for all your printing needs, drop by PsPrint today. And don't forget your FREE Sample Kit too! I miss you oh so much sweetie!! It's still a writing job but it's a different one Marzie,m keeping my fingers crossed! Recent blog:=- My Line 7 Shoes! Off to giant now to get supplies for Saturday dearie.. cya later! Yeay.. which means LJ in the lead!! Yahoo!!! Hopefully today tak ramai org lah.. Happy Thursday Mon! Raya break almost over for B and me edi! me too no more PB huhuhuu! With ur comment box at TUO or here Mon????? hehe B is still on leave right? Ohhh I can see at least 4 pages.. using FF? U think it has something to do with ur email problem last time, is that why u cant reply by email??? But u changed edi kan, ur email for JS to gmail? Thanks Mon, but the hotel got internet it seems he eh ehh e, so u might just see me online tomorrow hahahahaha! Yes sometimes I also cant see my comment box so must refresh like a mad panda, then only can see! yalor i cannot reply by email for TUO only...very funny lah! Sure got one hahahah, B oso bringing his lappy hehehehe! yeah the paid ads are back on EC huhuhuhuh! hahah refresh like a mad panda! but u can reply yr comments by email mah.. But sometimes I wan to reply in my comment box cause wan to use CL mah…LOL!!! BTW, I applied for the banner ads for LW edi, you??? we can reject those we don wan meh?? i tot must accept all..
Ohhhh hahahah B is okay one cause he oso internet crazy like me! So we can surf side by side in our huge hotel room, while making a big mess! Hahaha woo hoo! oh not yet lah....the other day i wanted to apply oso but i forgot! I read the comments and Cindy (the EC person) said we can reject those not related to our blogs etc but cannot reject ALL! I applied edi.. :) Hope got advertisers for MPG at least there.. I chose the 125x 125 size….abaden! Ha ha! u applied for MPG? i didnt see yr 125x 125 size..
Hehehehhehehe yeah lor… some more EC so famous, should really think of a way to make money and keep members happy at the same time, good luck EC! ohhh like dat!....if i apply, i don know where to put the 125x125 LOL! Thanks Mon, I sent him for massage too he he! Recent blog:=- She Left Me! hi marzie!! good thing here we also have lots of those business print offers which i can make good use for our business too. I am also thinking of making a name card under restnrileks; to go together with my office name card. So, can hand em both next time. RestNrilekS is my blogging name..
A name card with a slightly textured paper, ( i am thinking of going matte and spot uv) will make a nice rendition to it. Te hee. I think one can get 200 pieces under rm100 (ni dah kira mahal sket kot). Hello everyone, Ann, Rizal, LJ, Bill, hello everyone. I am here to leave you this Marzie!! hope you'll launch your marketing campaigns successfully. the weekend is here. have a wonderful weekend dear and don't work too hard. Ha ha too late for that LR, it was a working weekend for me all around huhuhuh! Thanks LR, I hope to get new clients this coming new year! Thanks sweetie, I always hope for the best too, wish me luck! Thanks for the gift Jackie, I’ll have to keep this link so I can retrieve it later lol! :) Oh me too feeling hungry now…..
Rizal! Bila naka post name card RnR kat I? H ehe! Promosi sikit lol..
Yeah great idea Rizal and dah siap pun ur name card kan? U design sendiri ke mcm mana? LOL @ Mariuca is my name and Romance is my game…. I looooove it! Haahhaha! Hi Ayie!!!! I’ll come visit u later tonight sweetie, trying to reply all my old comments here lol!